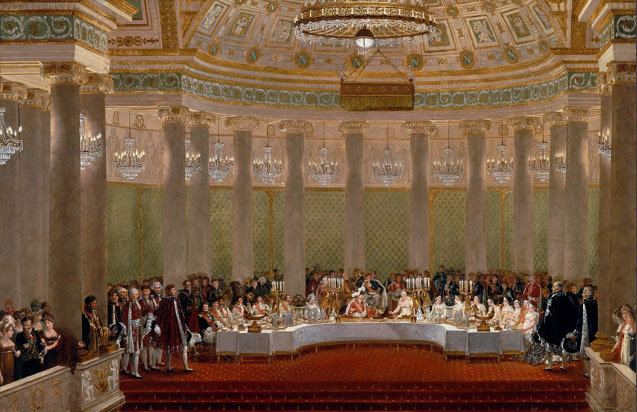 At his birthday party at Joseph Bonaparte’s New Jersey estate in Napoleon in America, Napoleon is served some of his favourite food and wine. What were these, and what else did Napoleon like to eat and drink? The simplest dishes were those which suited him the best…. He preferred a good soup (he liked it very hot) and a good piece of boiled beef to all the complicated and succulent dishes which his cooks could make for him. Boiled or poached eggs, an omelette, a small leg of mutton, a cutlet, a filet of beef, broiled breast of lamb, or a chicken wing, lentils, beans in a salad were the dishes which they habitually served at his breakfasts. There were never more than two dishes on the table for this meal – one of vegetables, preceded by a soup. 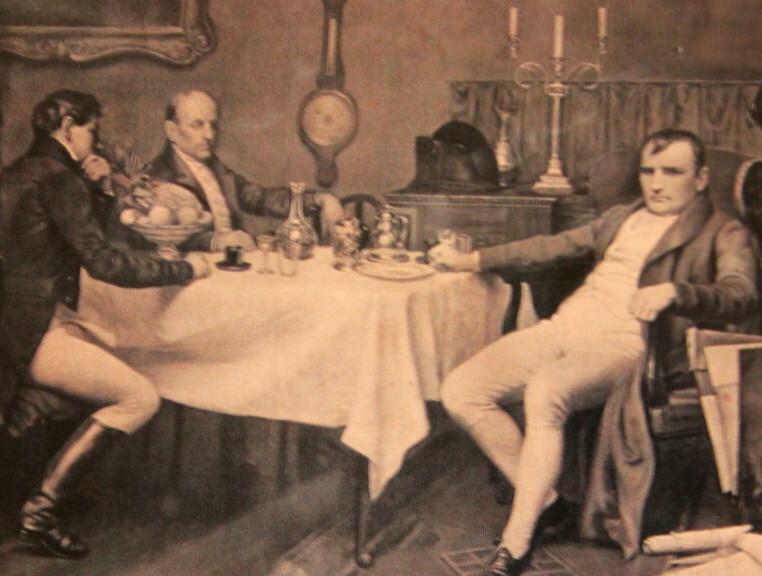 In exile on St. Helena, Napoleon switched his tipple, as recounted by Saint-Denis. On St. Helena Napoleon also enjoyed a golden dessert wine from South Africa, known as vin de constance or Constantia, which Las Cases procured for him. What Napoleon’s opponents thought he liked to eat. 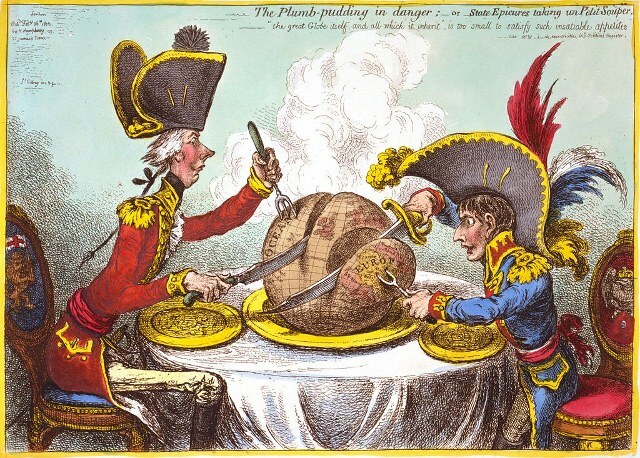 “The Plumb-pudding in danger, or, State Epicures taking un Petit Souper,” an 1805 caricature by James Gillray showing Napoleon and British prime minister William Pitt carving up the globe. As for the dessert known as the Napoleon, it has no direct connection with the Emperor. Known as the mille-feuille in France, the pastry apparently predates Napoleon. Its English name probably comes from napolitain, the French adjective for the Italian city of Naples. See Wikipedia for more about that. If you’d like to sample Napoleon’s favourite food as he might have eaten it, you can try this. 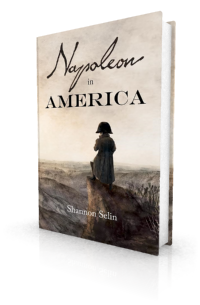 For more about Napoleon and food, see my post about “Sweetbreads, Sweetmeats and Bonaparte’s Ribs,” “Wellingtons and Napoleons” by Varun on Feast and Phrase, and “Appetite for War: What Napoleon and His Men Ate on the March” by Nina Martyris on the NPR website. Louis Étienne Saint-Denis, Napoleon from the Tuileries to St. Helena, translated by Frank Hunter Potter (New York and London, 1922), pp. 175-176. Louis-Joseph Marchand, In Napoleon’s Shadow (San Francisco, 1998), p. 88. Louis Constant Wairy, Memoirs of Constant on the Private Life of Napoleon, His Family and his Court, translated by Elizabeth Gilbert Martin, Vol. I (New York, 1907), p. 321. See Andrew Uffindell, Napoleon’s Chicken Marengo: Creating the Myth of the Emperor’s Favourite Dish (London, 2011). Louis Antoine Fauvelet de Bourienne, Memoirs of Napoleon Bonaparte, edited by R.W. Phipps, Vol. I (New York, 1890), p. 311. Emmanuel-August-Dieudonné de Las Cases, Mémorial de Sainte Hélène: Journal of the Private Life and Conversations of the Emperor Napoleon at Saint Helena (London, 1823), Vol. I, Part 2, p. 296. Napoleon from the Tuileries to St. Helena, p. 177. Mémorial de Sainte Hélène, Vol. IV, Part 8, pp. 127-128. Achambault, Le Cuisinier économe, ou élémens nouveaux de cuisine, de patisserie et d’office (Paris, 1825), p. 145. Wonderful blog, made me feel quite hungry! “the Claret may be of the very first quality as the taste of the persons who are to drink it is of a very fastidious nature”. Claret at that time cost Fifteen shillings a bottle. Thanks, Lally. I appreciate the quote – another one that shows Hudson Lowe was not all bad. And he was spot on about the “fastidious nature” of the Longwood gang. Brilliant post, thank you so much for sharing. I think I will try the recipe! Thanks, Anna. That chicken sounds tasty, doesn’t it! I haven’t tried it, but would be tempted to go all the way, with the mushrooms, truffles (or at least a bit of truffle oil or truffle salt) and fried eggs. If you do make it, I’d be curious to know how it turns out. Very interesting article but what did Napoleon eat at the Battle of Marengo? Next year the airport on St. Helena will be opened for people wanting to visit the Island. That’s a good question, Charles, if the Chicken Marengo story is a myth. The airport will make St. Helena easier to visit, though I wish I could see the island before it opens. I made Chicken Marengo once years ago for a large party. Not quite the same recipe, as I used deboned chicken pieces and cooked them in the sauce after browning. The fun part was using fried quail eggs on little croutons around the dish along with shrimp, classic crayfish not being available. My mouth is watering, Erik – that sounds delicious. I have a small glass (6x6cm) which has a note stuck to the bottom of it which says ‘Brought from St Helena in 1871 by Ensign Despard. A tumbler used by Napoleon Bonaparte.’ Despard was a relation of mine and this glass has been here for 4 generations. Any ideas what I should do with it? That sounds like quite the treasure, George. I see from A St. Helena Who’s Who that George Despard arrived at St. Helena on May 6, 1816 with a detachment of the 53rd Foot Regiment (2nd Battalion), which was stationed on Deadwood Plain near Napoleon’s residence of Longwood House. As for what to do with the tumbler, you might wish to contact the Napoleonic Historical Society (http://www.napoleonichistoricalsociety.org/). There are a number of collectors in the Society who can advise you of the options if you wish to sell it or display it somewhere. Oh my, that sounds delicious, Glenn. Happy Thanksgiving! Thank You Shannon! I will be making the Chicken Marengo for my history class! I will let you know how it goes! You’re welcome, Morgan. I hope it goes well! 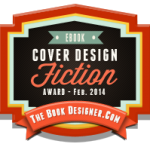 Having been adopted this was interesting reading. I traced my roots back to St Helena where my mother came from. I was born in the UK and now live on another beautiful Island of Mallorca so the history of St Helena and Napoleon Bonaparte is close to my heart. Thanks, Anthony. I’m glad you liked the article. He might, if he could eat them quickly. Hi, I think I have somehow fallen out of your Napoleon blog, which I have found very interesting. I teach history in Norway and many of your Napoleon facts are fun to tell the students. Thanks, Rune. I’m glad you’re enjoying the blog. The simplest dishes were those which suited him the best…. He preferred a good soup (he liked it very hot) and a good piece of boiled beef to all the complicated and succulent dishes which his cooks could make for him.